The design flexibility of the SolarEdge solution allows connection of strings over multiple roof facets and angles. Longer strings allowed Solar-Volatics to reduce the number of strings in the system by one third in comparison to a traditional string inverter. The built-in safety solution further reduced the installation cost. “For complex roof installations the inherent simplicity of string design and the need for fewer strings provides a welcome reduction in installation time,” said Solar-Voltaics’ Mike Turner. Many fire stations have complex roofs and shading caused by training towers and communication antennas. With module-level optimisation, each module produces maximum power, independently of other modules in the string. This solution eliminates shading and other mismatch related power losses. Installing PV on fire stations poses safety concerns. 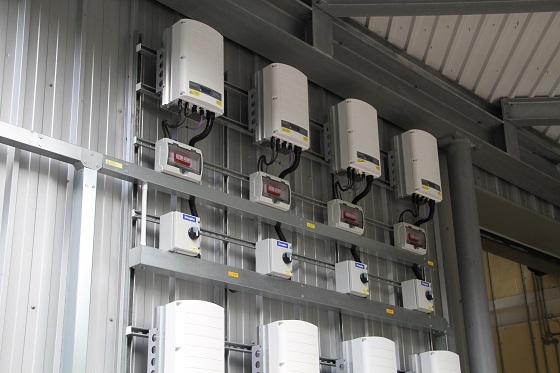 With the SolarEdge solution, whenever the AC power or the inverter are turned off, its DC wires de-energise to a safe DC voltage during installation, maintenance and emergency. 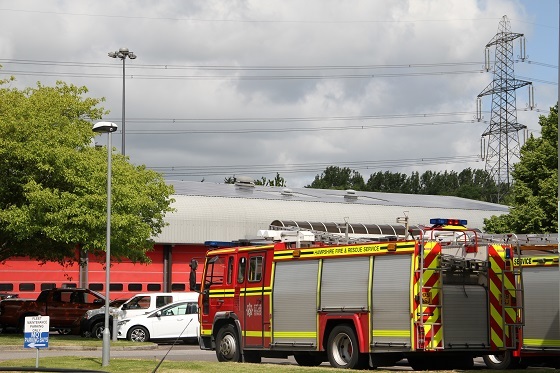 The Hampshire Fire and Rescue Service chose to equip all PV sites with the SolarEdge firefighter gateway which allows central safety management for the PV systems, including automatic and manual system DC shutdown, real time indication of system DC voltage for safety assurance and emergency stop button for the entire PV system. “I believe the SolarEdge DC optimiser solution is the most advanced and reliable solution for the safe installation of solar PV. Our customers especially value the fire safety features and the remote monitoring capability, all of which help protect their assets and investment in solar energy,” Turner said.